Roman Gokkoev has been involved in the Barents Cooperation on the regional level since January 2008, first coordinating the Oulu regional chairmanship in the BRC and later working as a Barents Coordinator/Manager of International Affairs with the Council of Oulu region. Originally, he comes from Petrozavodsk in Russian Karelia and during the past 20 years, he has been living and working in Finland. During 2000-2007, he was working at the University of Oulu (environmental technology development and educational projects in the Barents region). Since 2017, he has been working as an Executive Officer at International Barents Secretariat (IBS) in Kirkenes. Tim Andersson is the chairperson of Barents Press Sweden, a part of the one the oldest and most successful cross-border journalism networks in the world, Barents Press International. Tim is also the chairperson of Barents Regional Youth Council and he has with many different projects and travels a wide knowledge about the Barents Region. Elizaveta Vassilieva is responsible for youth affairs at the Norwegian Barents Secretariat. She has been involved in the Barents Cooperation since 2013, and has been the youth coordinator for the Barents Regional Youth Council (BRYC) since 2017. Among her tasks is to manage the council’s finances, facilitate meetings and other activities, as well as help initiate and implement youth projects. Elizaveta is also a member of the BEAC Joint Working Group on Youth. Katja Sukuvaara has been involved in the cross-border cooperation in the Barents Region since 2004. She has over 10 years of experience in coordinating and financing international projects. 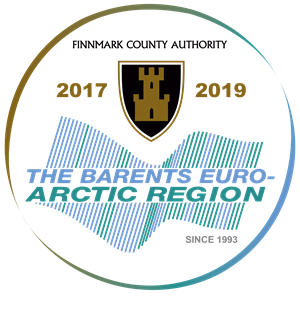 She was also part of the Task Force preparing the new Barents Program for 2019 – 2023. She grew up in the Finnish Lapland, but moved to south for university studies. After graduation, she returned to the Northern Finland to work with international relations. Nowadays she works in the Regional Council of Kainuu and is responsible for cross-border cooperation with Russian regions among other international affairs. Being a mother of two sons – 23 and 25 years of age – Katja is familiar with the challenges, wishes and dreams of the ordinary youth living in the Barents area. Jonas Sjøkvist Karlsbakk has been working as a communications adviser at the Norwegian Barents Secretariat since 2008, where one of his responsibilities has been photo and video documentation of the project activity. Before joining the Secretariat, Jonas worked as a journalist in the local newspaper Sør-Varanger Avis for four years. The camera has therefore been the most important item during his work traveling for the last 15 years.